For many reasons Having a career in Hotel & Restaurant Industry is a good choice. The industry is vast and there are tons of lucrative high paid job openings available worldwide. That’s why hospitality students and even people from other sector want to get suggestions on how to earn a decent job in hospitality industry. To share all the secrets in details to successfully get job in this industry few years back we successfully published Hotel, Restaurant, Cruise Ship Job Training Guide that helps many people to land on their dream job by getting highly professional tips from us. (Even if you have job you should collect the book to rank higher in your job.) Today for our readers we want to share few pages from that guide. We will discuss some secret tips to write a truly professional resume, best suited for hotel & Restaurant Industry. There is no reason that you don’t know how important it is to have a nicely written resume so we hope our today’s hotel management tutorial will help you to get your dream job. In order to make a neat, clean, polished, well organized, standard and professional looking resume you should know some tips. You may have years of experience, bundle of degrees and certificates but if your resume does not appear good then you cannot impress your employer. During first selection, most of the employers just give a look at your resume even less than one minute. So, if you want to sell yourself you just have few seconds to do so. It has been saying that “First impression is the last impression.” So why don’t to take a chance to draw the attention at the very first glance of your resume. Here are some must follow resume writing tips & techniques, through which you can easily transform your ordinary resume into a professional and standard one. Do not use too colorful paper for your resume. Standard A4 size white color paper is the most popular & standard option for preparing resume. You may also use some sober color papers like ivory, cream or light grey. Do not send photocopied version to your employer unless it looks like original copy. If you use watermarked paper then print out in the proper side. Proper side means print on where watermark is visible. As like other business documents your resume should have 1 inch margin on each side. Use single line space for bullet points or paragraph and 1.5 lines or double line space for each section. Never use more than 3 fonts in single resume. In fact one font is enough but yes you can use 2 types of fonts – one for headline and other one for description. Don’t make your resume too long or too crowded. 2 page resume is best. However, if you don’t find enough information to cover the 2nd page then use small fonts and prepare a1 page resume. If you prefer 1 page resume then font’s size should be 11 to 12 or if your resume is 2 pages then the font’s size should be 12 to 13 to make the resume standard one. Whatever the size you use for your resume be sure that font of your full name should always 2 to 4 sizes bigger. From other font’s size. For instance, if you have used 12 font size for your body text, 14 for each heading then you should use 16 to 18 font size for your full name, at the top of your resume. To draw the attention, the words or phrases better to be used as boldface but do not underline as it is difficult to read. Remember, you should use boldface (with or without underline) only on your section titles, not in your body text. To write list of information, use bullet points or numbering, use different styles throughout your resume. Using bullets points in your resume is a very effective way to grab the attention and hard to miss. Do not use capital letter for all words or phrase (Except abbreviation). Capitalize the first letter of each word to make your resume better readable. Do remember your resume is the snapshot or survey of your professional life where you should emphasize on your skills, ability & accomplishments. Never put down your own views regarding race, religion, gender or political unless it is required. Keep your resume updated all the time. Do remember that, what you wrote yesterday is a past. Changes could take place at any time in your life which needed to be updated in your resume. For example: you may get new job, you may change your previous address or you may get another affiliation or award. So, carefully look at the information you have put and be updated all the time. In some countries, it is a common trend to put list of references in the bottom of the resume. However, it is an old approach. Now days most of the resume closes down with the statement “References are available on request” rather than putting down the list of references. Don’t rely only on automated grammar or spelling checkers. Because even most updated automated system is unable to find out errors for some words like: there and their its & it’s etc. Your name, address, organization’s name could be noticed as spelling error as they may not be available in the dictionary of the word processing software. So, don’t use auto correct option BLINDLY. Before finalizing the resume, read at least 3 times. Then make a proof read by your close friends or relatives. Often your eyes or brain may ignore many silly mistakes that other person may notice. For using abbreviation you must spell full name and use abbreviated form within a bracket. For instance, American Culinary Foundation (ACF). Must give one space between full stop (.) and first letter of the next sentence. Capitalize the Job title, or name of the School, College or University, Organization’s name, City or town’s name, Certification & degrees etc. First letter of each bullet point also should be capitalized. Put comma between Job Title, Organization’s name, Location etc. For example waiter, ABC Restaurant, Sydney, Australia. Always write accurate information. Show honesty in writing your achievements and skills. If you are not confirmed about anything then don’t write down unless you have the guts to proof all your statements. Your slight mistake can resulted job termination. Situation can turn to be even worse if you are black listed by any major chain who can also share that list with other chains. So, DON’T TRY TO BE DISHONEST. Be careful about the tense and voice you use in your resume. It is better to use objective form where you are the subject of each sentence. But don’t write the word “I” rather stat with a verb. Generally, passive format structure is used for bullet list. Use past form of verb only when the event is past or about achievements. Use present form to describe your present situation like your job, location etc. Try to use hospitality or hotel industry related words more in your resume. Step-1: Prepare a .rtf format (with image attached at the left/right corner) document& then convert the document into pdf format and give it a name that you can remember like “Resume with Photo”. You can edit & convert this rtf format at any time in future. Step-2: Prepare a .rtf format (without image) document & then convert the document into pdf format and format and give it a name that you can remember like “Resume without Photo”. You can edit & convert this rtf format at any time in future. Now USe .pdf (with image) version of your resume for sending emails. For this version you would not need to send your photo separately as it is attached in your resume already. USe .pdf (without image) version of your resume for sending emails where employers want your image (photo) files need to be send separately and also for printing out when you would attach your real photo at the left/right corner. 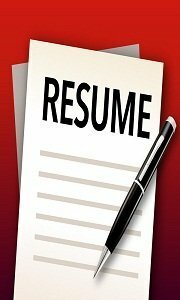 Before taking an attempt to write on your resume also look at the other resumes and find out the strong and weak points from each. Get the important ideas and note down carefully. Revise as much as you can. Do some proof reading by yourself and others and follow my previous suggestions and advice. Hopefully now you are much confident and prepare to write an attractive and presentable resume.